So, if the year of Akhenaten’s death and of Tutankhamun’s ascention are the same, how could there be any rulers in between? Hi, Gary (Gaden). Thanks for reading my article. 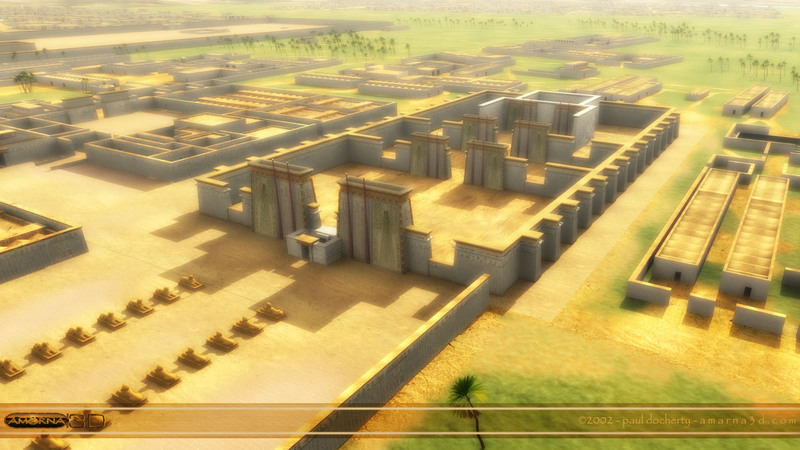 You bring up a good question and the answer is obscurely there in the background of Amarna research. I’m glad you brought it to our attention. The timeline I favor is that of Aidan Dodson, a British Egyptologist and an expert in Amarna Period research. This has to do with how Dodson has posted the succession: namely, Smenkhkare predeceased Akhenaten and Nefertiti either predeceased Akhenaten or survived him and subsequently became regent to Tutankhamun for a short time. Thus, after Akhenaten died Tut became king, so it was in the same year. Now I see there’s no way the reader could know this unless he or she is up to date on Dodson’s research, so I will probably go in and subtract a year from Akhenaten’s reign for the sake of clarity. It’s possible Akhenaten feared coming down w/ the plague himself, and/or his family…it would’ve showed the ppl he was human after all. Hi, Willie. Thanks for reading the article. All right, I surrender. My article has generated only two comments so far, and both are about the succession between Akhenaten and Tutankhamun in 1343 BCE. This is my fault for not explaining the details of Aidan Dodson’s succession theory—no such explanation occurs in the article itself and appears only in my reply to Gary. Again, in this scenario, Smenkhkare predeceased Akhenaten, and Tutankhamun came to the throne immediately after Akhenaten’s demise. It’s a plausible scenario but my mistake was not making it clear from the start. I apologize for that. I should also add that I don’t fully embrace Dodson’s scenario, but in my opinion his timeline overall is the most accurate. But to keep it simple, I went in and moved Akhenaten’s reign back by one year. The article does cover the plague scenario, which has become a more popular theory in recent years. 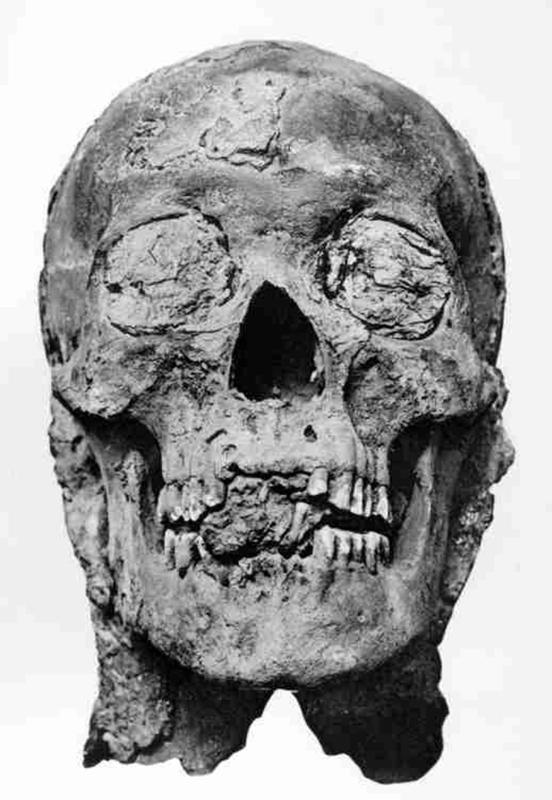 Of Akhenaten’s daughters, it’s possible most perished from the plague. Possibly so did Nefertiti and Smenkhkare, if not Akhenaten himself. 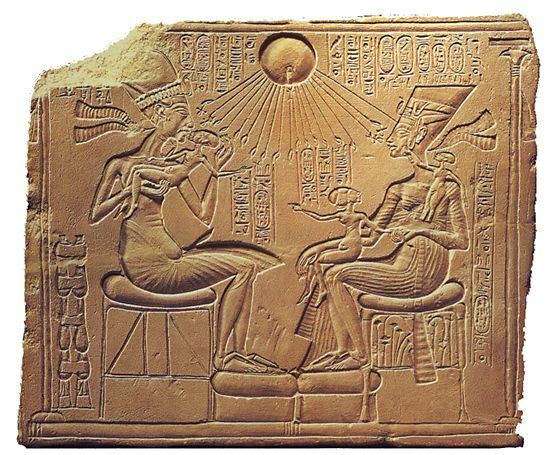 How humane Akhenaten may have seemed to his people is always an interesting topic to explore. I am not convinced he was a “man of the people,” given the tremendous upset he caused by abolishing the cult to Amun and not to mention his apparent walling himself off in the city of Akhetaten until his death. But the sad fact is, we honestly know almost nothing about the personalities or characters of pharaohs. Were we to believe the official propaganda, practically all of them were absolutely perfect in every way! Hi K, No problem, I enjoyed reading this article, and others here. Akhenaten’s seclusion led me to the fear of plague idea, just speculation on my part. I’ve always wondered how/when Smenkhkare fit into the sceme of things, and we can only wait for the experts to figure it out…..assuming they can. Hi, Willie. The experts have tried to figure out Smenkhkare but the available evidence is far from complete. We can only hope for further evidence to surface. I’d wager that most experts and amateurs alike still view the mummy from KV55 as that of Smenkhkare, but there is no consensus. For instance, Zahi Hawass went on record that it was the remains of Akhenaten, although the evidence he presented is far from solid. Then there is the coffin in which the body was found. The name was hacked out, but modern examination by a German team has found evidence in the gold bands found within the coffin bear elements of Akhenaten’s throne name (especially the “waenre” portion), so the coffin might indeed have been his originally. But KV55 itself is a hodgepodge of burial equipment from several different royals, and it’s been amply demonstrated that coffins were reused in ancient times, so who knows? This sort of endless mystery, however, is one of the strong appeals of Egyptology. King tut was not the son of Akhenaten. Kate Phizackerly’s rebuttal to Zahi Hawass DNA/genetic conclusion that “the mummy in KV55 was Akhenaten” was brilliantly analyzed and disproven. the mummy in KV 55 has to be Smenkhare who along with Merytaten are the parents of Tut. It has also been absolutely proven that two pharaohs – one male and one female with the names Ankheperure and Ankhetperure ruled between Akhenaten and Tutankhaten/amun. even Manetho had this lineage. all chronologies based on a mythical 27 year reign for horemheb will have to subtract 13 years from his reign and reduce the chrono for the 18th dynasty. those 13 years are the difference between Akhenaten’s death and Tutankhamun’s death which is why horemheb is given an additional 13 years because of the erroneous interpretation that it was Tut’s wife who wrote the letter to Hittite King Suppiluliuma. 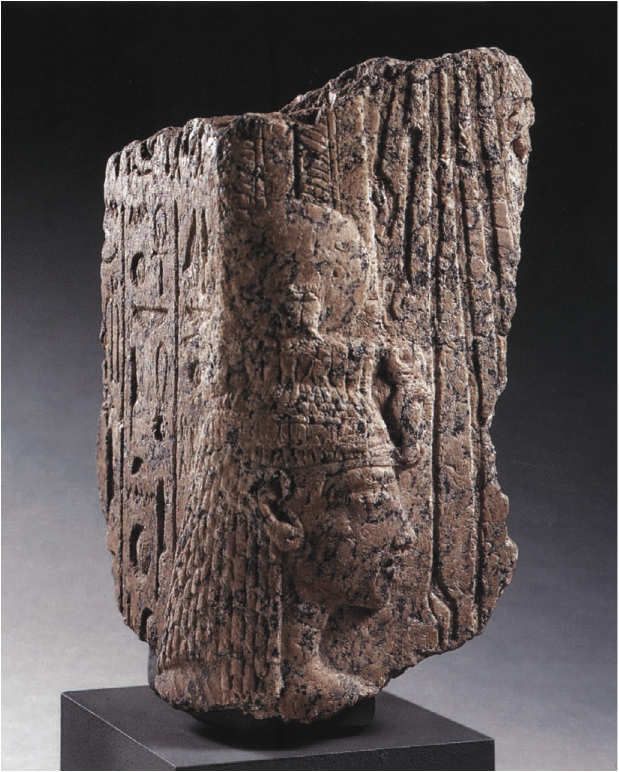 it was actually Akhenaten’s wife Nefertiti who wrote the letter 13 years earlier. Tut’s entire reign was involved in the war against the Hittites which is how he died in battle. Suppil had declared war on egypt some 12 years before Tut’s death after his son was assassinated on his way to Egypt and when he found out Egypt already had a new male king (Smenkhare). WOW! was this some exciting period in history! A period in history I am currently writing about. Keep up with your research. So, have you finally realized your dream of semi-retirement we spoke of? Hi, Harte. I’m only semi-retired due to recent health issues. I’m slowly making my way back but it’s taking a long time. I worked for the gov’t near DC about 15 years ago before retirement. We had a black lady who in my agency who had all the traits of the Amarna period–narrow eyes, elongated shape to the head, extended jaw, very thin figure, tall. Every time she visited the office I thought of these statues of this pharaoh and his children. She would probably agree to DNA samples if anyone could compare them to the mummies. I believe that this pharaoh was black and maybe Nubian ancestry. I don’t think all of the pharaohs were black, but I believe this one was. Hello, Greg. Thanks for commenting and reading. It’s entirely possible Tutankhamun and his family line possessed very dark skin. This is something we’ll likely never know with certainty, but Tut hailed from a long line of kings we call the Tuthmosides, which originated in southern Egypt. Therefore, dark skin is likely. You can google the forensic bust the artist Elisabeth Daynes did based off the CT scans of Tut’s skull. This will show you an accurate portrayal of Tut’s physical features, although Daynes used a skin color that makes him look like a Frenchman (Daynes herself is French). The DNA from Tut and numerous other Amarna Period mummies has been studied in Egypt (2007-2010, I believe). However, it’s unlikely the Egyptian government will ever allow the studies to be used in cross-comparison analyses with modern people, and as it is, the Egyptian government still refuses to allow foreign scientists to review the data. Thanks for the detailed reply. Yes, I am not surprised the Egyptian gov’t would not allow comparisons, They only want to know what fits into the popular narrative. If that changes or if some museum somewhere has an accessible sample of DNA, I will track down my associate for her sample. 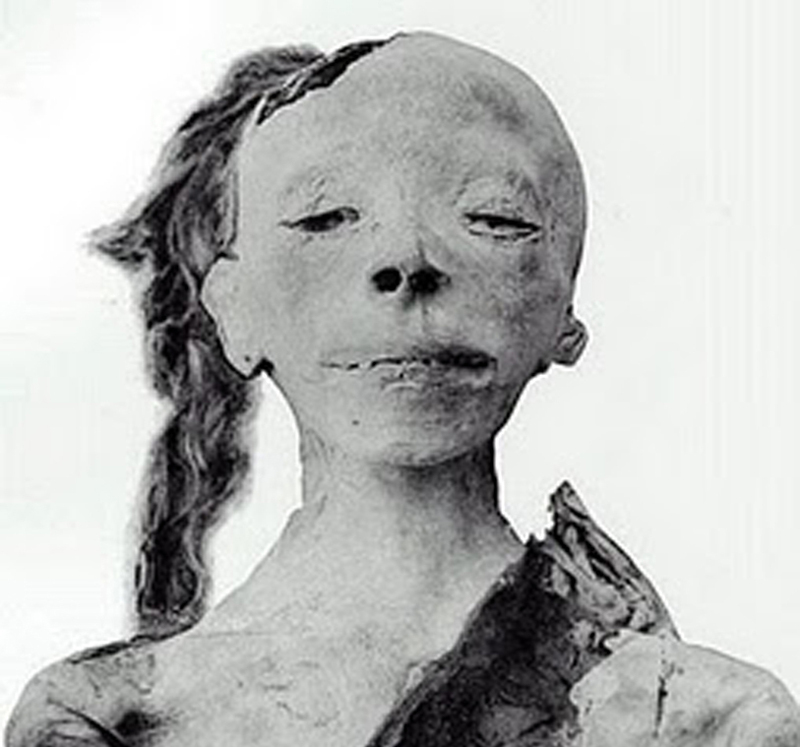 She had the right skull shape to fit the odd Amarna sculptures.I have seen the Tut reconstruction. His head shape is much more normal than his ancestors. At some point before him I suspect the old joke “brothers by different mothers” came into play. Egyptologist Arielle Kozloff writes of a mysterious 8-year gap in the documentation of Amenhotep III’s reign. She notes a growing sense among scholars that, as you report, epidemics attacked Egypt during this period, and concludes that epidemics were responsible for the national crisis that explains the documentation gap. She speculates that Amenhotep III’s eldest son Thutmose B, as well as his in-laws (who are known to have died from malaria), died during this period. All this suggests a biblical connection. 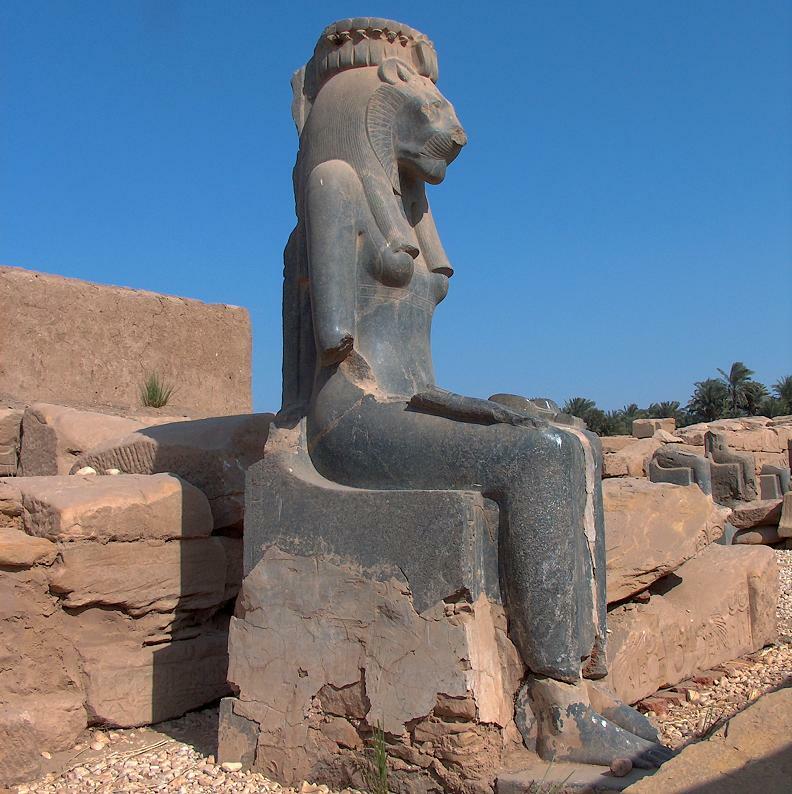 I believe Sekhmet worship played an important role in God’s repudiation of the Egyptian deities in the biblical ten plagues (see my article in the Spring Issue of the journal Tradition). In a second paper (to be published), co-authored with epidemiologist John S. Marr, we argue that the deaths in the tenth plague resulted from a “syndemic” – multiple concurrent epidemics – caused by previous plagues (mainly insect swarms (plague 4) and livestock diseases (plague 5)) in an epidemiological progression. If this reading of the ten plagues narrative is correct, scholars interested in identifying the Exodus Pharaoh should look for a period of unusual epidemics and heightened appeals to Sekhmet. Given the epidemics you mention, Amenhotep III’s roughly 700 statues, and the traces of the Exodus in Manetho’s account of Pharaoh “Amenophis” (likely Amenhotep III) and the lepers and in his “Hyksos” account (both as reported by Josephus), serious consideration should be given to the possibility that the Exodus really did occur (ca. 1374 BCE) and that the Pharaoh was Amenhotep III. 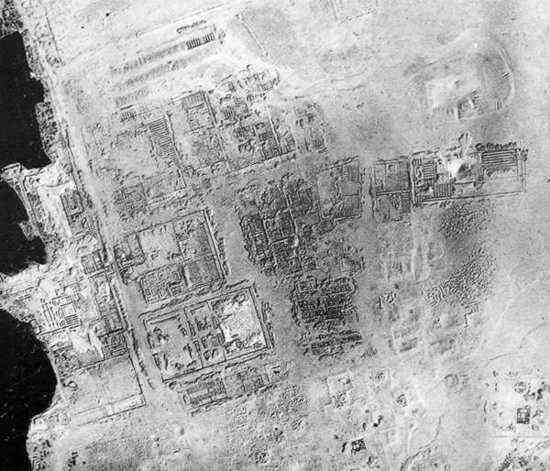 A plague event is more than possible for Amunhotep III’s time, but the precise nature of it is not known. It is largely conjectured from the plethora of Sekhmet statues, evidence from the wider region, and Akhenaten’s decision to erect a new capital city in virgin territory. I am not really aware of a significant gap in the reign of Amunhotep III, who is actually one of the most solidly attested pharaohs of Dynasty 18. That his eldest son, Tuthmose, probably died young is widely agreed in modern scholarship (giving the only reason Akhenaten was able to ascend to the throne), but the cause of his death cannot be definitively known; it is only speculation. I am not aware of evidence that Yuya and Tjuya (the in-laws) died from malaria, although it’s possible. Malaria was a common health issue then as now, and was probably more often fatal in ancient times. One must understand that the plague—whatever exactly it was, and however many different diseases the word describes—was always in the Nile Valley, to greater and lesser extents. There are theories that the biblical plagues target certain Egyptian deities, but which ones is only speculation because we cannot know the minds of the Hebraic scribes who concocted the story (their exact thoughts and motivations, that is). All of this is further contingent upon the well-stablished fact that there is no evidence for the Hebrews in the time of Amunhotep III, and even the Amarna Letters underscores their absence at this early stage. The earliest to which we can possibly date them textually and archaeologically is late in the reign of Ramesses II or his son and successor, Merneptah. Amenhotep III could not possibly have been the pharaoh of the Exodus. He ruled when Egypt was at its most prosperous in history. the Amarna Letters should prove all of this as the letters were written to and from neighboring Kings and vassal mayors in Canaan but no mention ever of the “Habiru” (Hebrews) kept in captivity in Egypt and their escape out of there. These Habiru later sided with the Hittites in the war with Egypt and when they were captured during Tut’s time, that began their captivity in Egypt. the reign of Amenhotep III is the period when Yuya-Joseph acted as “Father to Pharaoh” to Amenhotep III after Yuya and Tuya’s daughter Tiya married him. Biblical scholars have named the pharaoh of the exodus anywhere from Thutmose II, Hatshepsut, Thutmose III, Amenhotep II, and Thutmose IV. Amenhotep III is a new one. Biblical scholars as well as archaeologists have never found anything of the Israelites in Egypt during this period including the Exodus because they all make the same mistake of mis-calculating the “480 years from the temple of Solomon…” error by thinking of a “Year” in contemporary terms. take a look at the present Jewish calendar and you will find that there are TWO NEW YEARS – one at Nisan and one at Tishri, six months apart near the two Equinoxes, (HINT) on how the ancient Israelites kept calendar time after the divided kingdom and the post Babylonian exile period. go back 240 years (half of 480) from the Temple building and you will find the Exodus and the Trojan War which occurred just before the collapse of the Bronze Age which then allowed the Hebrews and Israelites, Philistines and Neo-Hittites to enter Canaan and take over the land. My thanks to both of you, kmtsesh and Russell Jacquet, for your informative comments. Please allow me to elaborate upon my comment. Perhaps it is not coincidence that Sekhmet worship played an important part in the biblical ten plagues narrative. The first plague echoed the “Destruction of Humanity” myth; when they saw the blood (or blood-like substance) in the Nile, the Egyptians were prompted to think Sekhmet was at her murderous self again, and to pray to her for relief and vengeance. Their trust in their deities was ultimately shaken when God prevented “the Destroyer” – Sekhmet’s cognomen – from killing the Israelites and preventing the first-born deaths (Ex. 12:23). Along the way, the Sekhmet-obsessed biblical Pharaoh threatened the Israelites with death in the desert at her hands; the Hebrew Ra’ah (Ex. 10:10) is the feminine form of “Ra”, and the description of the Egyptian deity given by biblical commentaries fits Sekhmet perfectly. Thus, the Bible is pointing to a Pharaoh heavily associated with Sekhmet worship, whose reign was marked by devastating epidemics. Amenhotep III seems to fit (particularly since the biblical references to “Ramesses” and “Raamesses” could be Hebrew composite terms having nothing to do with the Ramessids). Indeed, our understanding of Amenhotep III seems to prove Sir Alan’s point. His reign is still plagued by mysteries. Why so many Sekhmet statues? Why did he self-deify during his lifetime? 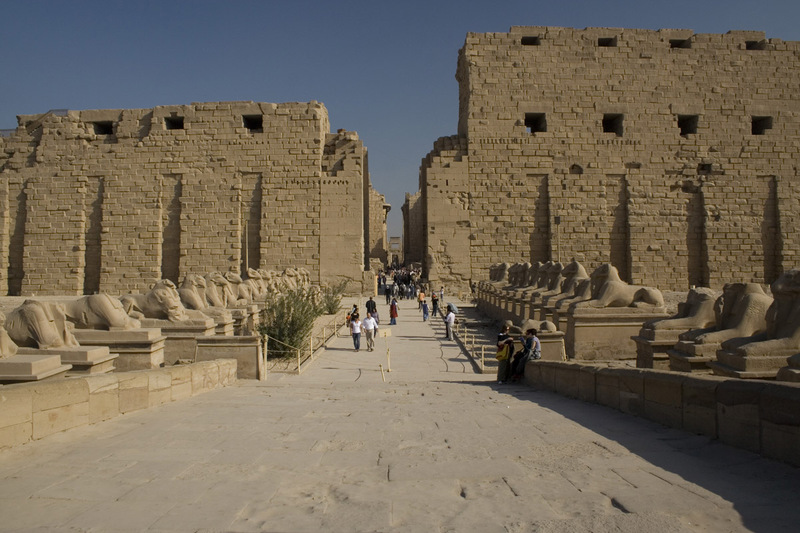 Why did he turn Egypt toward Aten worship? 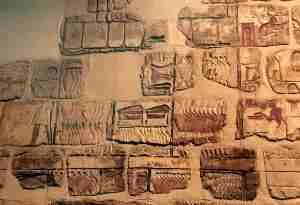 Why were his (and Akhenaten’s) armies silent even as rebellion and civil war raged throughout Canaan (as testified by the Amarna letters)? If the Exodus did occur during his reign, it would help explain all this. The ten plagues, which culminated in devastating deaths and (to the Egyptian mind) almost secondarily in the release of the Israelites, amounted to a loss of ma’at. That may explain why this Pharaoh had to reassert his godly authority and his attempt to fuse traditional belief with proto-monotheism. His and his son’s sublimation of all other deities to Aten led to the greatest theological crisis in ancient Egypt and had catastrophic effects that lasted well beyond Akhenaten’s death as his successors literally left no stone unturned to obliterate his memory. This prolonged upheaval may have been what God had in mind when He imposed judgment on the Egyptian deities (Ex. 12:12). These events would also explained the sudden weakness of Egyptian’s military prowess – see Moses’ observation in Deut. 11:4. Unlike other theories as to the identity of the Exodus Pharaoh, an Exodus ca. 1374 BCE enables us to date biblical events and match them to attested events in ancient Egypt and the Levant. Joseph arrived in Egypt during the SIP (ca. 1610 BCE). Jacob and his family of “Asiatics” were driven to Egypt by a famine of extraordinary reach and severity, which could have been the aftereffects of the Thera eruption (ca. 1590 BCE). They were likely settled in Heliopolis (not Avaris/Tell el Dab’a), from where Joseph carried out his duties with support from his father-in-law, the powerful priest of On/Heliopolis. Hatshepsut (the “new king”) did indeed eliminate the last vestiges of Hyksos rule by revoking privileges granted Jacob’s family by the Hyksos rulers and subjecting them to unusually harsh labor. Moses commuted easily from Heliopolis to Memphis, where he negotiated with Amenhotep III. When several decades after their release from Egypt the Israelites enter Canaan, their forays (as described mainly in Judges) were complicated and prolonged over several centuries by the civil wars, fringe groups like the ‘Apiru and Shasu, invasions by regional power and later by the Philistines, and internal dissension arising from inter-tribal issues and the constant lure of idol worship. The Book of Judges seems to verify that the Israelites lived in tents and remained mobile until the late 12th century when they began building permanent settlements. The archeological record as to specific towns and cities mentioned in Joshua and Judges is too fragmentary to rule out the theory suggested here (Kitchen, Reliability of the Old Testament), but the Amenhotep III scarab found in a Jericho grave and the possibility of dating Deborah’s fight against Hazor – and is destruction – to the late 13th century are further signs that biblical narrative and historical narrative align. Let me address some of your other points. For Yuya and Tuya’s malaria, see Zahi Hawass, et al., “Ancestry and Pathology in King Tutankhamen’s Family,” in 303 Journal of the American Medical Association, 638–647 (2010). As to a record of “Hebrews” in ancient Egypt, the Israelites were “Asiatics” to the Egyptian minds, and as they engaged in conflict in Canaan (after the Amarna period) may have been thought of as just another element of ‘Apiru and Shasu. The 480-year period (1 Kings 6:1) either starts with Moses’ birth roughly 80 years before the Exodus (1374 to 966 BCE is roughly 400 years) or is a scribal emendation in 1 Kings from “408” to “480” to round to a duration divisible by 40. Finally, the widely-held view that there is no extra-biblical account of the Exodus needs to be re-examined. We have the testimony of Manetho, which has never been decisively discredited. He may well have drawn this accounts (as reported by Josephus) from Egyptian priestly records. He conflated the Asiatic Israelites with the Hyksos, not surprising given that both were traumatic experiences for native Egyptians. When he reports that the Hyksos were ousted by “Misphragmuthôsis”, he means – in the view of Redford and others – Thustmose III and most likely reflects Hatshepsut’s boast in her Speos Artemidos inscription. His account of how the “lepers and other undesirables” were treated by “Amenophis” – thought by Reford and Kozloff, among others, to mean Amenhotep III – contains numerous elements that strongly resemble those the Bible associates with the Exodus. 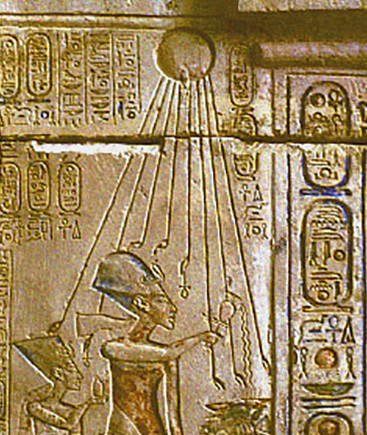 Khemesian mythology/history is built around the idea that Khem used to be ruled by the Netjer who were, according the Khemesians, from somewhere near the star Sirius A. Ahkenhaten would have been taught that he was descended from the netjer and thus portrayed himself as one. I see a man who was obsessed with aliens. It’s coincidental that you’re writing about such a man when you don’t accept as possible everything that he stood for. I fully accept the understanding of who Akhenaten was. It’s just that we can never fully understand why he did what he did. Partly religious zealotry, partly megalomaniac control of his nation and people, a fervent desire to strip the powerful Amun priesthood of its position, perhaps even a hope to leave epidemic-poluted cities and start anew. These and more are the accepted theories for Akhenaten’s desperate reforms, even if we can never know which one (or more) it is. But one thing on which we can all agree is, aliens had nothin to do with it. I will concede that Akhenaten was taught he was from the gods, but in this case the god in question was his father, Amunhotep III, one of the most powerful kings in their history. No aliens, though. Excellent article. Informative and intriguing.